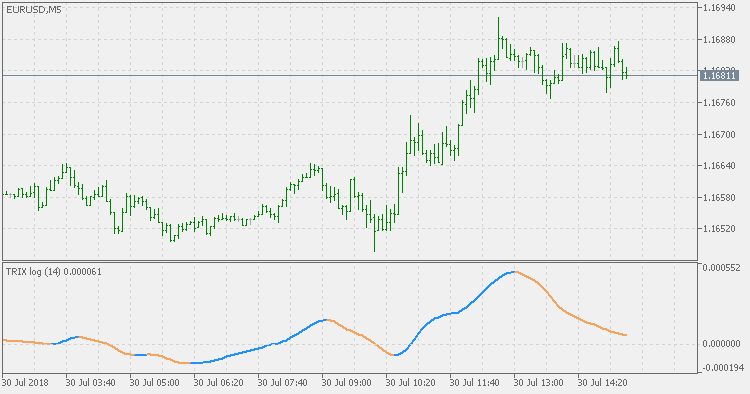 TRIX is a momentum oscillator that displays the percent rate of change of a Triple Exponentially Smoothed Moving Average. It was developed in the early 1980's by Jack Hutson, an editor for "Technical Analysis of Stocks and Commodities" magazine. With its triple smoothing, TRIX is designed to filter insignificant price movements. In his article he uses a logarithm of a price (which is in many versions, left out). This version calculates the TRIX exactly as Jack Hutson described it.